Kidsmoke released their new single "Cut Yourself Loose" on February 26. Check the track out below. You can pick up the single HERE. Formed in 2013 in Wrexham, North Wales, Kidsmoke consists of: Lance Williams on vocals and guitar, James Stickels on bass and vocals, recent addition Sophie Ballamy on Guitar and vocals and Chris Trow on drums. They quickly rose to prominence in April that year following the release of their debut EP ‘Higher’. 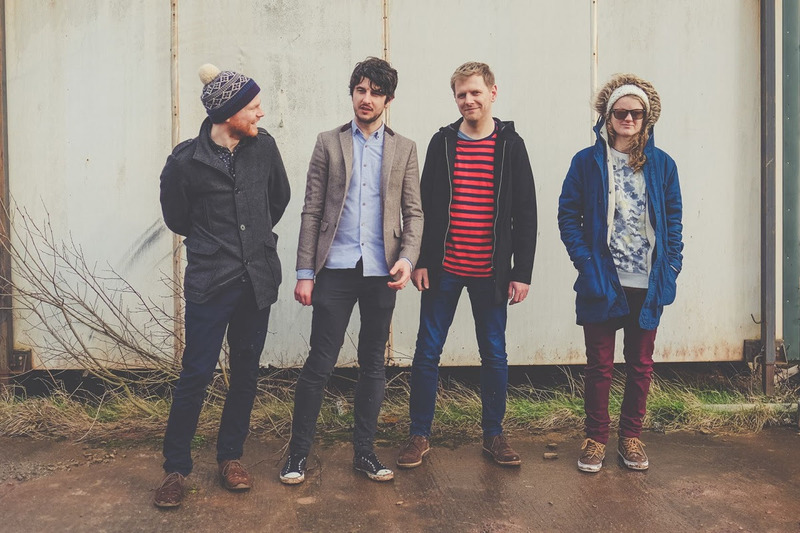 Since then the band have reached the final of the Green Man Rising competition, played the festival and also supported the likes of Paul Smith (Maximo Park), Glass Animals, Satellite Stories and Widowspeak. BBC Radio Wales’ Adam Walton took a liking to the band, playing a number of their tracks several times on his show and has voiced his support for them such as when talking about Track ‘On And On’, saying that “It would thaw the heart of a dead Polar bear”.